Rain gutters play an important role in the health of your roof and the structure of your property. A properly functioning gutter system is imperative to increase and maintain your property value. When your existing gutters cease to function well, we can provide you with a top-quality gutter installation service in Huntersville NC. Replacing your gutters at the optimal time can help keep costs down when it comes to your home repairs. A well-designed, well-optimized gutter system helps to prevent water damage to your roof, as well as the interior and exterior of your house and your landscape. If you’ve lived in Huntersville NC for some time, where summer storms occur quite frequently, then you’re probably aware of the effects of water damage or have even experienced them yourself at some point. Whatever the case, we can take care of your Huntersville NC gutter installation and Lake Norman gutter replacement needs. Our stain-fighting solutions will help maintain the beautiful white exterior of your gutter system, and we’ll also provide you with best practices and tips to help you keep the interiors clean. It can be tricky, especially in the fall season when leaves are falling from the treetops, but our team is experienced and knowledgeable when it comes to Lake Norman gutter replacement and maintenance. Need new gutters installed on your home? Contact us for a free gutter inspection and on-site estimate. 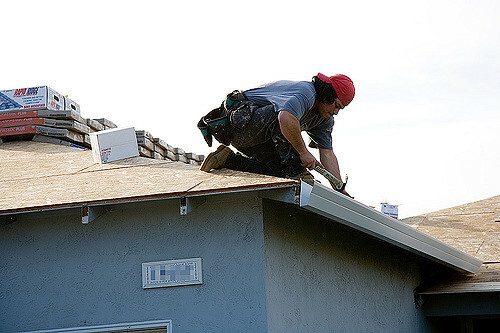 If you think you may simply be in need of gutter repair and can avoid a full gutter replacement, we know of another company that can assist you.